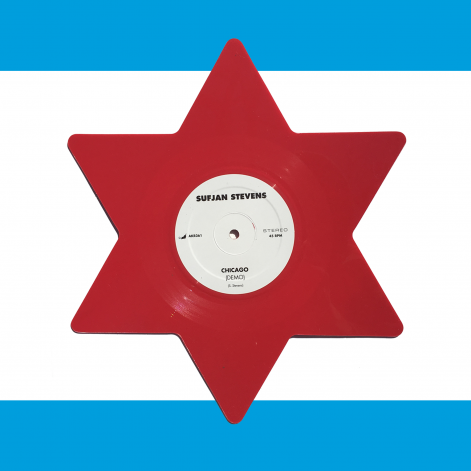 We’re happy to announce that every Illinois: Special 10th Anniversary Blue Marvel Edition will also include a die-cut, star-shaped 12″ vinyl based on Chicago’s city flag. Sufjan, who plays guitars and organ on the song, recorded the track in 2004. The Illinois: Special 10th Anniversary Blue Marvel Edition includes exclusive cover art featuring Chicago-born superhero Blue Marvel, licensed officially from Marvel. 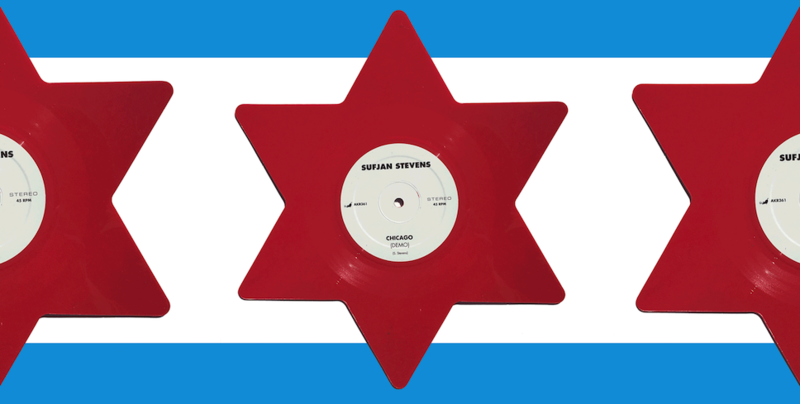 In addition to the “Chicago (Demo)” 12-inch, the double LP also includes “Antimatter Blue” and “Cape White” vinyl colors for the two discs. The audio for the special edition comes from a 2014 remastered version of Illinois. We pressed 10,000 of the Illinois: Special 10th Anniversary Blue Marvel Edition. The Special Edition will be available worldwide through your favorite local record store. We’re also selling a slightly less special, misprinted 12-inch version of the song separately. The label on these 2,000 records incorrectly reads 45 RPM. The record plays best at 33 RPM. You can preorder this misprinted 33 RPM single here. We’ll be shipping it out in April.